28 Sep 2018 --- The US government is taking a fresh look at labeling by stepping up its review of dairy labels for plant-based foods and asking consumers if they are confused by certain terms and products. 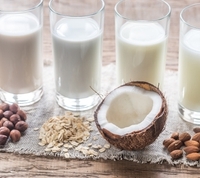 As the plant-based alternatives market is growing rapidly, more products are hitting shelves with names like “soy milk,” “almond milk” and “vegan mozzarella cheese” – and the Food and Drug Administration (FDA) wants to get a better handle on how consumers are interpreting and understanding these plant-based products compared to dairy products. It says that the wide variety and growth of plant-based food and beverages that are being positioned in the marketplace as substitutes for standardized dairy products has been discussed in the FDA’s initial work on its Nutrition Innovation Strategy. This comes at a time of rising demand for plant-based products all over the world, like soy-based alternatives to cheese and nut-based alternatives to milk, which has created a growing number of new food choices. But, the key issue for the FDA is the fact that these products have not been standardized under names like “milk” and “cheese,” and this could be misleading to consumers, it says. “The FDA has concerns that the labeling of some plant-based products may lead consumers to believe that those products have the same key nutritional attributes as dairy products, even though they can vary widely in their nutritional content,” says FDA Commissioner Scott Gottlieb. Gottlieb says that many dairy products, such as milk, yogurt, and certain cheeses, have standards of identity established by regulation, which require certain components and ingredients in these foods. “These plant-based products are sometimes packaged very similarly to those used for milk or yogurt, for example, and sold in the dairy section of grocery stores. However, these plant-based products may not be satisfactory substitutes for all uses of dairy. And some may not be nutritionally equivalent,” he adds. Another FDA concern is about the health consequences of the label debate and how plant-based products using the types of terms usually associated with products of an animal origin, could contribute to underconsumption of key nutrients, such as calcium and vitamin D.
“The risk of under-consuming key nutrients may be heightened in children if parents substitute certain plant-based beverages for milk because children have less diverse diets than adults with fewer opportunities for other foods to provide those nutrients,” says Gottlieb. In comparison to what is happening in the US, plant-based dairy alternatives are thriving in European markets, amid a surge in demand for vegetarian and vegan options. But while soy still leads, it is other plant-based options that are enjoying much stronger growth from an NPD standpoint. According to Innova Market Insights data, over the past five years, the number of new plant-based dairy alternative drinks launches reported in Europe has grown continuously, with a CAGR (2013-2017) of +19.5 percent. Between 2013 and 2017, soy continues to be the top ingredient for plant-based dairy alternative drinks, however, the market penetration is decreasing. At the same time, almonds and oats show strong growth over the years, with the CAGR (2013-2017) of +39 percent and +36 percent, respectively. NPD growth is coming despite regulatory constraints on marketing these types of products as milk. In June 2017, the European Court of Justice ruled that purely plant-based products cannot be marketed with names such as “milk,” “cream,” “butter,” “cheese” or “yogurt,” which are strictly reserved by EU law for animal products. This decision also relates to products that used dairy-related terms in conjunction with clarifying or descriptive words indicating the plant origin of the product concerned. The judgment has wide implications for the food industry and it’s not yet clear if the US will follow suit with a similar ruling, however, given the nature of the FDA debate, it does look likely the US will shake-up labeling for plant-based products.